The BC Alliance presents several outreach and public development opportunities for our sector to enable you to connect with each other, exchange ideas, and further arts, culture and heritage initiatives. Please see below for our upcoming events. WHEN: Thursday, March 8, 2018; 3:00 - 5:00 p.m. DANCERS AT The cULTCH'S 2014 ignite! YOUTH DRIVEN ARTS FESTIVAL. | IMAGE: THE CULTCH. Research shows that artistic experiences are critical to the well-being of youth – not only for self-expression, but as pathways to learn about and engage with the world around them. What does it mean to engage young people in the arts in 2018? What do youths expect from a cultural experience, and how can we connect them with this experience in a way that is organic and meaningful to them? How can we ensure that our programming reflects the diversity of young people and their realities? How can we reduce barriers so that this programming is accessible and worthwhile for the next generation? Join panelists Kim Senklip Harvey, Samantha Nock, Rekha Pavanantharajah and Brandon Yan and moderator Brenda Leadlay for a lively participatory discussion, followed by a reception and networking event with cash bar at the BC Alliance's Vancouver headquarters. This session is available with ASL interpretation upon request, and can be livestreamed for participants unable to attend in person. Please note if you will require these services on the registration form below. Kim Senklip Harvey comes from the Syilx, Tshilqot'in, Ktunaxa and Dakelh Nations and is a director, playwright and actor. She has worked across Canada; highlights include the national tour of Kevin Loring’s Where the Blood Mixes and the world premiere of Corey Payette’s Children of God at the National Arts Centre in Ottawa. Kim is working on her first commissioned play, Kamloopa, and was shortlisted for the 2017 Gina Wilkinson Prize for her work as an emerging female director. She participated in the 2017 fall Banff Residency, Writing in a Racialized Canada, and is currently investigating her relationship to her ancestors and deepening her understanding of her Indigenous storytelling history. Kim is extremely invested in community and youth engagement and has worked on the Mayor’s Task Force for Mental Health and Addiction and the City of Vancouver's Urban Aboriginal Peoples Advisory Committee. As the Youth Program Manager at The Cultch, she spearheaded the Indigenous Youth Initiative, which focused on increasing urban Indigenous young people's artistic opportunities in Metro Vancouver. Most recently, Kim was appointed as one of two artists to take part in the National Theatre Schools inaugural Artistic Leadership Program, which aims to steward the next generation of artistic leaders of major artistic institutions in Canada. Samantha Nock is Cree-Métis originally from Northeastern British Columbia. Her Métis community is located in Ile-a-la-Crosse, Saskatchewan. Samantha joined the Bill Reid Gallery in 2015 as the Education Coordinator. She graduated from the University of British Columbia with a BA in First Nations and Indigenous Studies and Political Science. 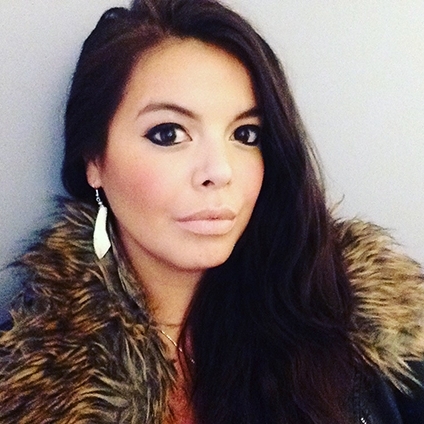 With a background in youth peer support through volunteer work and involvement with the Native Youth Sexual Health Network, Samantha brings Indigenous and grassroots perspectives to educating. She is actively working to create accessible programming that is by and for Indigenous and marginalized communities. Samantha is passionate about creating educational experiences that bridge the gaps between people while hoping to plant seeds of social change in her students. In addition to being an educator, she is also a published writer currently working on her first book. For the past eight years, Rekha Pavanantharajah has dedicated her career to the creative sector in cultivating the role of the arts for young people. While attending Simon Fraser University, where she acquired her BA in Sociology, she began to understand how art and culture are integral to creating sustainable, healthy and thriving societies. In 2010, she joined the dynamic team at ArtStarts, a charitable organization all about expanding the role of the art in education for young people, and was able to apply her passion for building community through the arts. Today as the Director of Engagement + Development, she is excited to collaborate and advocate with the arts community to explore what’s possible for young people when the arts are considered essential in society. Brandon Yan is the Education Director for Out on Screen, a non-profit arts organization with the mission to illuminate, celebrate, and advance queer people through film, education, and dialogue. As an energetic community advocate, he has led Out On Screen's Out in Schools program since 2015. Over the last year, Out in Schools has not only seen a dramatic increase in the number of requests for its student programming but also for workshops specifically targeting educators and administrators in BC’s education systems. He has collaborated with the Ministry of Education, BC Teachers' Federation, UBC Faculty of Education, and the ARC Foundation to address this immediate need to support LGBT2Q+ students through policies and practices that foster inclusive school environments. Additionally, Out On Screen also produces the Vancouver Queer Film Festival. About to celebrate its 30th anniversary, VQFF has a long history of engaging young people through its programming. Stay tuned for further networking opportunities!